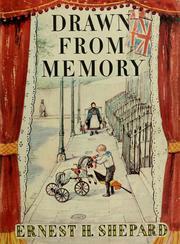 Published in 1957 but focused on events that took place in 1887, Drawn From Memory by E.H. Shepard is an utterly charming memoir about Shepard’s life as a seven-year old boy growing up in a close-knit middle class family in Victorian London. It is also, as Shepard’s advises in his introduction, a memoir of the last entirely happy year the family had, which adds a special poignancy to the entire book; shortly afterwards, Shepard’s adored mother became ill and then died, leaving her devoted family devastated. But while she lived, what a happy family they were! But, for the most part, this is not a book about a budding artist. It is a book about childhood memories. Shepard recalls the figures of his home life (his nurse, the cook, his elder sister Ethel and brother Cyril), devotes a marvellous chapter to his four easily shocked maiden aunts, and recounts events that impressed themselves on his young mind. 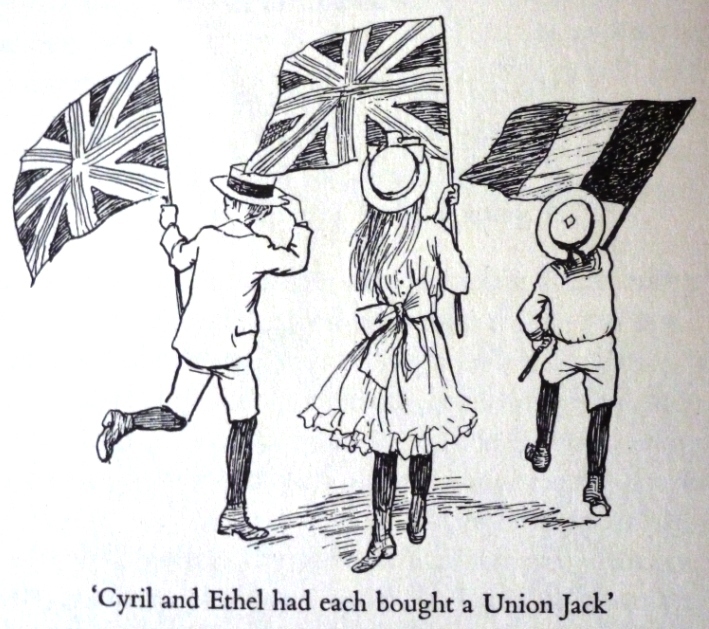 Some of these events were of general significance – such as Queen Victoria’s Golden Jubilee, an event which Shepard celebrated with the purchase of a Belgian flag (“As Cyril and Ethel had each bought a Union Jack, I thought a change was called for.”) – but most of them are episodes significant only to the Shepard family. He remembers Christmas celebrations, a visit to the pantomime, an expedition to a tennis party in Highgate, and family holidays to Eastbourne and, best of all, a farmhouse in Kent. The chapter devoted to “Pollard’s Farm” is as perfect description of childhood bliss as I have ever read. They are spoiled there with food, freedom, and proximity to animals. Of all the happy moments in the book, this is by far the happiest. But there are moments scattered through that remind us that this perfect happiness cannot last. Knowing that Shepard’s mother would soon become ill is difficult enough – that poor young woman, about to be separated from her lovely family – but towards the end Shepard reduced me to tears by mentioning coming across his brother’s grave in France during the First World War. Cyril died in July 1916 on the first day of the Battle of the Somme. 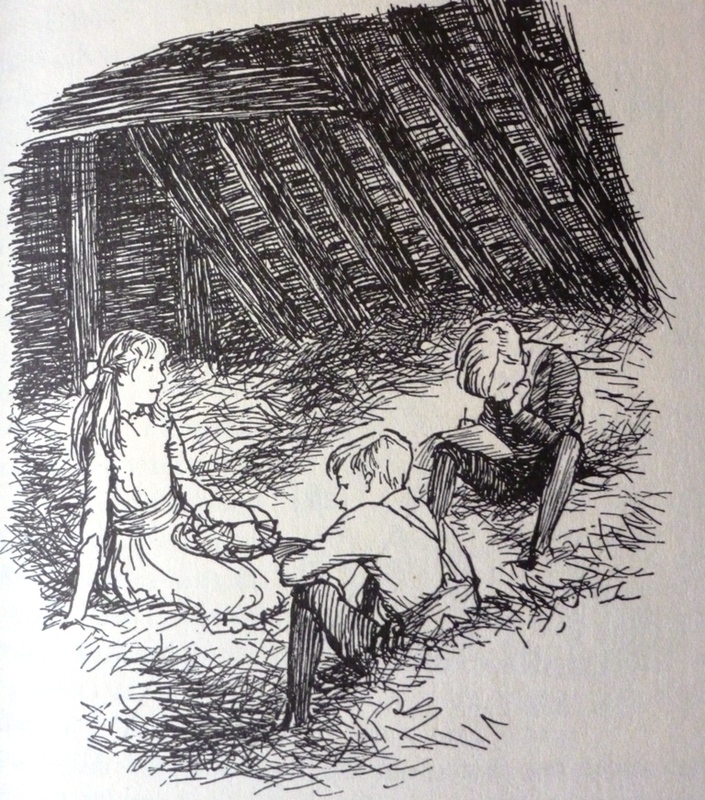 E.H. Shepard’s illustrations of A.A. Milne’s books and particularly of Kenneth Grahame’s The Wind in the Willows were such an important part of my childhood that it feels particularly appropriate to now know more about his childhood. This book is begging to be reissued and Slightly Foxed, who after all first alerted me to it in their Winter 2010 issue, would seem a natural publisher. UPDATE: As of December 2018, this is back in print – from Slightly Foxed no less! Oh, brilliant! I think I need this book. 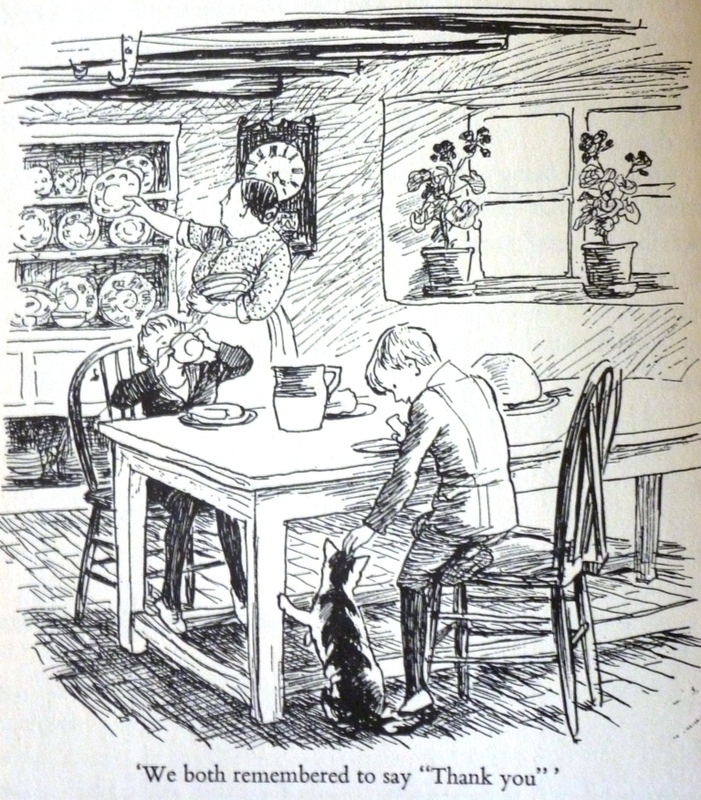 And to top it off, serendipitously speaking, the book I’m reading right now, “Jeremy” by Hugh Walpole, is lavishly illustrated by none other than E.H. Shepard, and the illustrations are absolutely perfect. You would love this, Barb! And the cherry tree blossoms are the height of perfection right now. Slightly Foxed was in my head before you put forward that suggestion, so let’s hope. But I shall try to track down a copy in the meantime, as I now these things take time.. I will also be looking for a copy – your review makes me wish I could somehow magically get my hands on one right now. 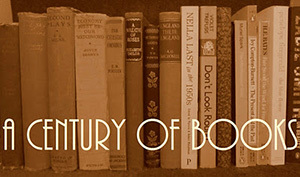 Technically you could; Open Library has a digital edition available. But, for illustrated books like these, I always think hard copy is best. I hope you love it, Ali! I’ve had this book sitting on the shelf for more than 20 years and still not read it! Time to get to it, Margaret! Lovely review of a lovely book, Claire! I think I’ve read this one, anyway… I’ve certainly read one of the ‘Drawn from’ books. 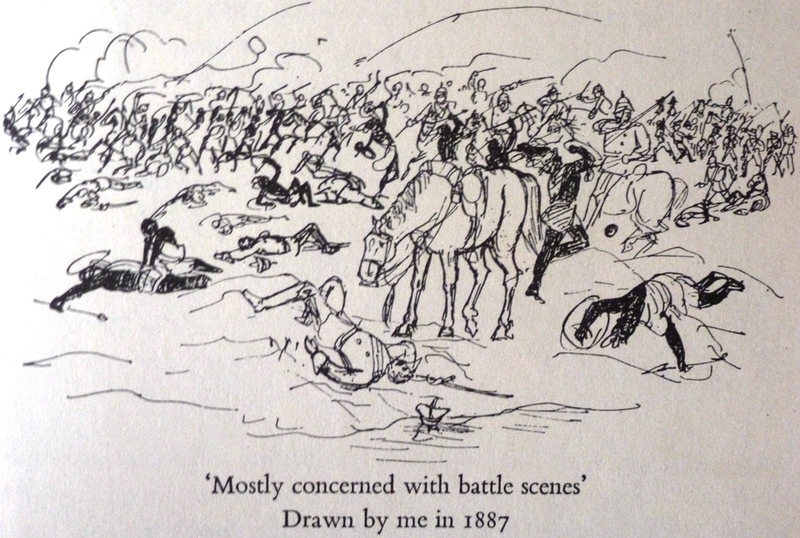 And my goodness, what impressive drawings for a small boy! Isn’t that amazing for a seven year old? I’ve got Drawn from Life enroute to me at the library right now so I’m looking forward to reading that soon, too.